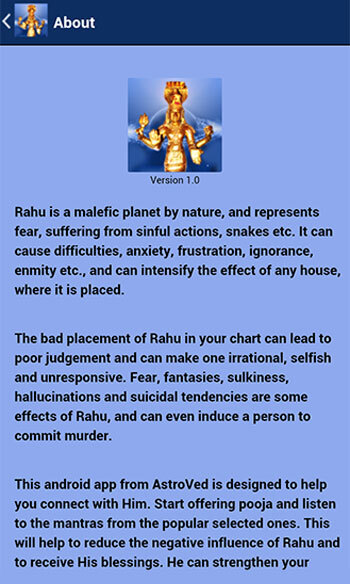 Rahu, an evil planet by nature, usually brings chaos caused by the complexity, anxiety, frustration and suffering. Rahu may indicate infectious diseases, irreligious habits or the use of toxic and can cause enmity, ignorance, etc. 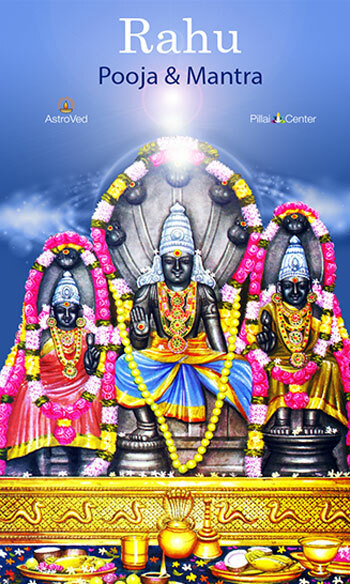 If Lord Rahu is in a powerful position, which can give the person with wealth, physical beauty, power, name and fame, etc. 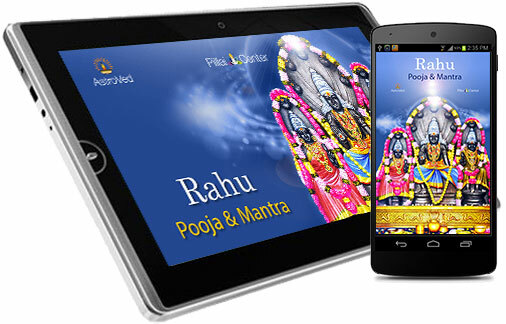 However, the planetary period of Rahu never allow any person satisfied, regardless of the material gains. 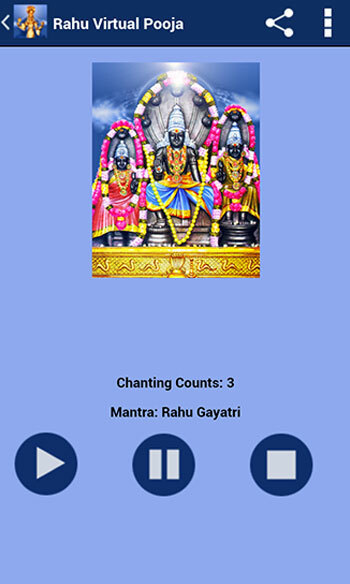 It is believed that in the period of Rahu, what is gained and lost also their full effects are seen between the ages of 42 and 48 years. 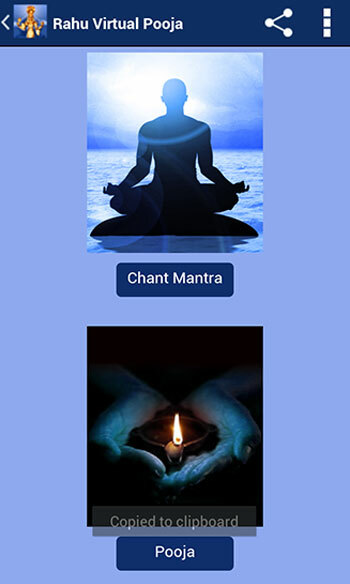 Performing Lord Rahu Pooja will make life harder. You can strengthen your power and you can convert any enemy even his friend. His blessings can take any situation and that is you can make it work for you. 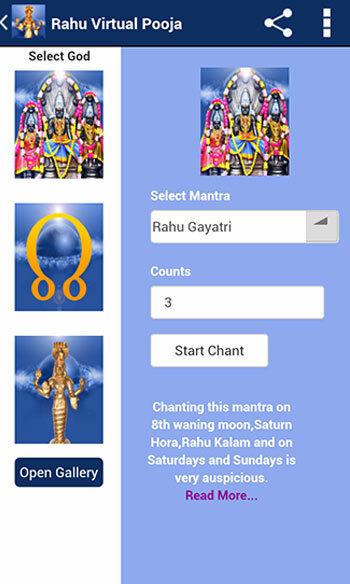 You can offer your prayers to the Lord Rahu through Rahu Pooja & Mantra application for Rahu Kalam, and Saturday and Sunday, which will help to get the blessings of Lord Rahu.